In 2018 Stephanie was a recipient of an Arts Council Bursary to research dance in conjunction with the poetry of Dani Gill; specifically her first anthology of poems ‘After Love’. ‘After Love’ is based on the disintegration of a long term relationship. Stephanie spent three weeks in November of 2018 with collaborators Laura Sheeran, Little John Nee and Muiris Crowley experimenting and exploring different ways of combining text and poetry with dance. Stephanie was one of the lead performers and choreographer of Peter Power's inter disciplinary work 'In Clouds' for the Cork Midsummer Festival 2018. In Clouds was composed by Peter Power and Michael Gallen, performed by Stephanie Dufresne and Tonnta, lit by Sara Jane Shiels with visuals by Dave Mahuna and text by Sara Baume. Stephanie is the sole performer and choreographer of Changeling, a show commissioned for the Clonmel Junction Festival in 2016 and 2017. Changeling was directed by Laura Sheeran featuring a score by Linda Buckley, and was based on the story of Bridget Cleary; a woman burnt alive in Ireland at the end of the 19th century under suspicion of being a faerie. As with all of Laura and Stephanie's work; Changeling addresses what it means to be a woman in the late 1800s and what it means now. It explores themes of the occult, the outsider and the sacred feminine. Link below to an interview with Stephanie and Laura on Arena, talking about the making of Changeling. In September of 2017, Stephanie choreographed a solo performance to composer Sam Perkin's piece 'Nesting Doll'. The solo was performed at the launch of Music for Galway's 2017/2018 programme, accompanied live by Finghin Collins. Nesting Doll dealt with themes of lineage, heritage and identity. Stephanie received an Arts Council Bursary in 2016 and a Dance Ireland Mentored Residency in 2015 to research a solo under the guidance of Leonie McDonagh and Marguerite Donlon. 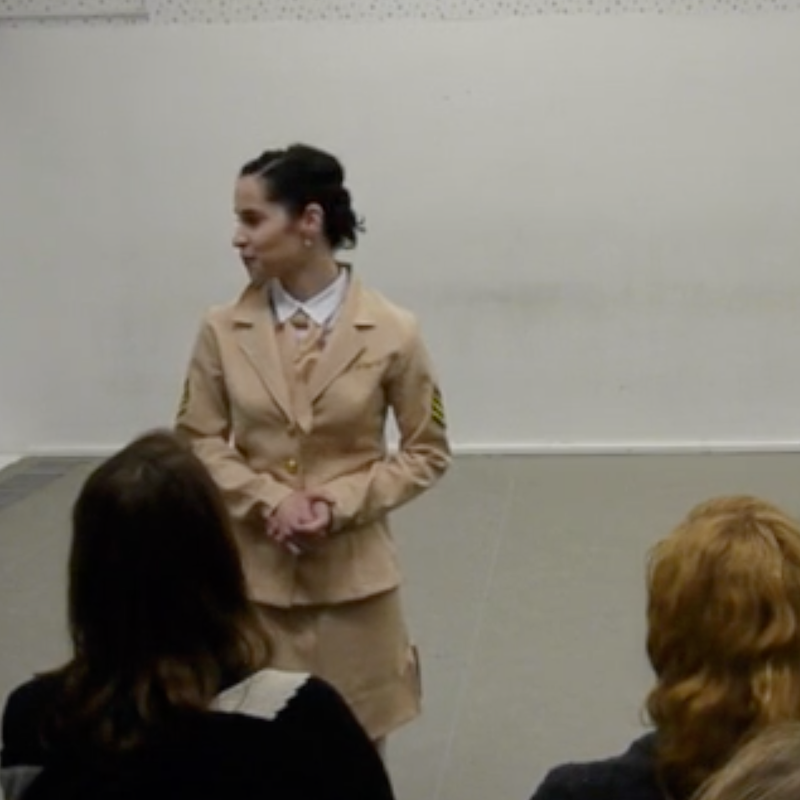 That solo became 'Like A Lap Dance That No One Asked For' and was performed in the University of Limerick, at Dance Ireland and as part of Galway Culture Night. ‘Like A Lap Dance’ is a performative and comedic expression of the eternal conflict of the artist.